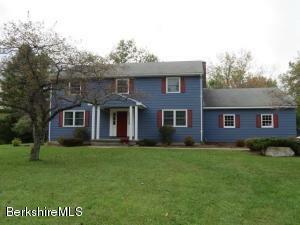 This lovely colonial sits on .60 acres. Behind property is Kervin Park.There are 4/5 brms,1st floor office that could be a bedroom, 2.5 baths and plenty of closet space. Most rooms have solid oak floors, Newer Anderson replacement windows and 2017 50 year architectural shingled roof. Burnham Gas Boiler and water heater(2010),Upgraded 200A electrical service. 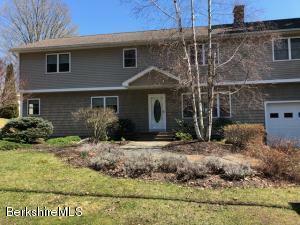 There is a four season sunroom with access to the deck and large yard. Master bedroom has two walk-in closets, dressing area and full bath. There is a two car oversized garage and landscaped yard! Desired neighborhood! 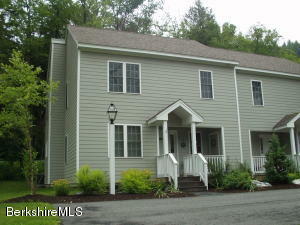 Enjoy this Beautiful, Newly Constructed Private Home, in the heart of Berkshire County. 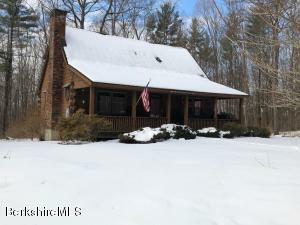 Conveniently located close to all of Berkshire's amentities including Jiminy Peak Ski Resort, Bosquet, Tanglewood, The Clark, Pontoosac & Onota Lake, the list goes on. The home offers desirable amenities such as central air conditioning, bamboo flooring, granite and stainless appliances in the kitchen. The charming gas fireplace provides gorgeous ambiance, and the vaulted ceilings compliment the open floor plan. 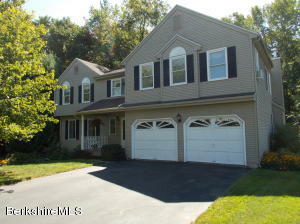 Large screened in deck to enjoy the Berkshire outdoors as well as pool and gym for your activity enjoyment. Attached garage, first floor laundry and excellent storage space throughout, make this a very sought after, move in ready property for many to soon call home. 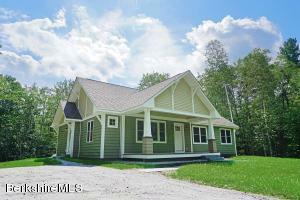 This craftsman style home offers an open floor plan and custom detail throughout. 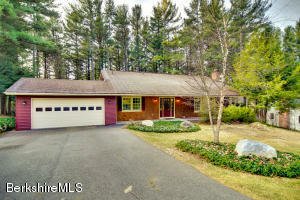 Set on a private, wooded setting with lake rights to the gorgeous community beach at Lenore Woods! The full basement offers plenty of space for storage or potential additional finished room and bath. 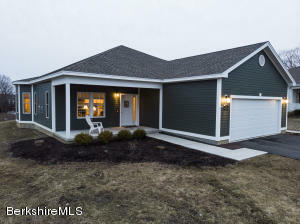 Home features a covered front porch and a large back deck perfect for entertaining and outdoor living. This home delivers a high efficiency heating system by Viessmann. 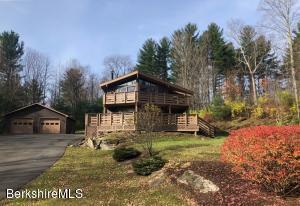 Tasteful interior finishes, along with a modern flames fire place, set on a large lot with a peaceful tree filled landscape and access to a serene lake. 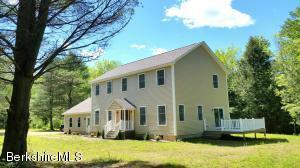 No maintenance, new construction make this a perfect getaway home. 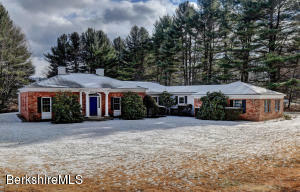 Newly listed Village Center prime location. 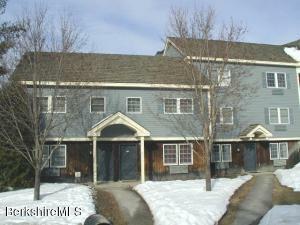 2 bed 2 full baths multi level condo that backs up to the Jiminy Cricket trail. Private Parking space. Summer heated pool. Location...location...location. Will not last long. Syndicated web sites may direct you to an agent other than the listing agent. 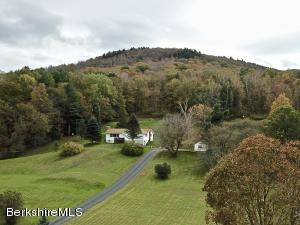 Sparkling new construction on 7 level country acres far enough for peace and quiet yet so close to Jacob's Pillow, Tanglewood, theatre, museums, restaurants and a mere 2 1/2 hours to Boston or NYC. 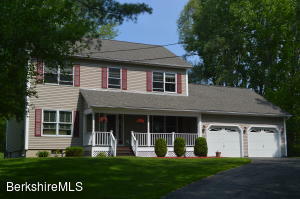 Spacious 4 bedroom custom designed colonial, and high efficiency heat with AC. Southern exposure ideal for adding solar. 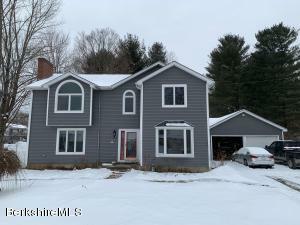 Gorgeous kitchen with granite counters, hardwood floors, luxurious master suite with ensuite bath & walk-in closet, 2 car attached garage and all shiny new and ready to move into. 3D tour on line. Make this yours before the summer season! 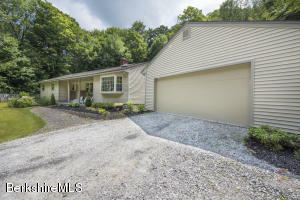 Nice roomy living spaces with 3 bedrooms, two baths on two levels close to trails of Jiminy Peak. This one is not going to last long. Syndicated web sites may direct you to an agent other than the listing agent. 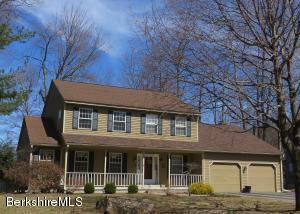 Beautiful & private newer Colonial Style Home built in 2002 with 4 bedrooms, 2.5 baths. Large open kitchen with granite counter tops and sliders out to the deck with awning. Elegant formal living room and dining room. Alarm system, central vac, and central air conditioner. 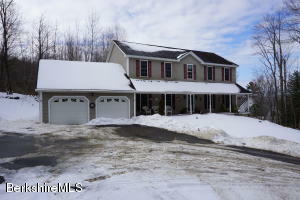 Oversized 2 car garage and beautiful landscaping with private setting.